International copyright laws protect this web site. 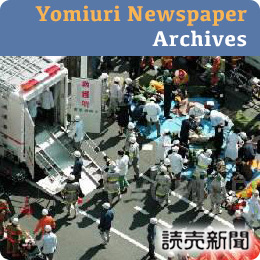 The entire content of Nipponnews.net, including texts, photos, images, graphics and layout, is under copyright and may not be copied, transmitted, published, reproduced, manipulated, projected, or altered in any way without written authorization of Nippon News and payment of applicable fees. Any unauthorized users of material owned by Nippon News, whether photographs or text, will be notified and invoiced the industry’s standard triple fee for unauthorized usage. Removal of the illegally used material from a web site or cessation of distribution of a publication with unauthorized material does not void the bill for past unauthorized use. Failure to pay such a bill will result in the use of all available legal means against the copyright violator. 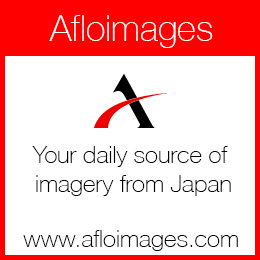 THIS IS A LEGAL AGREEMENT BETWEEN YOU (“LICENSEE”) AND NIPPONNEWS.NET, A DIVISION OF AFLO CO. LTD., (“LICENSOR”). YOU AGREE TO BE BOUND BY THE TERMS OF THIS AGREEMENT AND THE LICENSED MATERIAL USAGE SPECIFICATIONS SET FORTH HEREIN. “Image(s)” mean any still image or visual representation whether generated optically, digitally or by any other means. “Invoice” means the computer-generated or pre-printed invoice provided by Licensor that sets forth, without limitation, the specific party contracting as Licensor, the specific areas of use for the Licensed Material selected, grants Licensee the Reproduction rights chosen, sets forth limitations on the license (if any) and states the corresponding price(s) for the license of such Licensed Material. The Invoice shall be made a part of this Agreement and shall be incorporated by reference herein, and together with this Agreement shall constitute the entire agreement between Licensor and Licensee regarding the Licensed Material. All references to the Agreement shall include the Invoice. Unless stated otherwise in the Invoice, Licensor grants to Licensee a nonexclusive non-sub-licensable, non-transferable and non-assignable right to use and reproduce the Images identified in the invoice to the extent explicitly stated therein. Licensor further grants to Licensee the right to have the Images reproduced, solely to the extent explicitly stated in the Invoice, by subcontractors, of Licensee, provided that such subcontractors agree to abide by the restrictions of this Agreement. The Image is strictly limited to the use, medium, period of time, print run, placement, size of image, territory and any other restrictions specified in the Invoice. Licensor grants Licensee the right to utilize the Image in the sales and production process that may be necessary for the intended use specified on the Invoice. The terms specified in the Invoice, or in this Agreement, shall not be modified without the express written consent of Licensor, and any attempt to modify the Agreement without such express written consent, or any attempted deviation from the terms thereof of this Agreement, shall nullify the representations and warranties made by Licensor hereunder. Images may not be used in any pornographic, defamatory, libelous or otherwise unlawful manner whether directly or in context or juxtaposition with specific subject matter. Image shall not be changed beyond basic industry standard image alteration, ie cropping, background removal, touching up, etc. You may not remove, disable or attempt to remove or disable any digital watermarks or other proprietary notices or markings that may be included with the Image. This Image may not be stored in any temporary or permanent electronic database for future use unless agreed to in writing by an authorized NipponNews.net representative. You may not use the Image if it contains recognizable persons, entities, or products in a manner which suggests their association with or endorsement of any product or service. Photos For Websites & Blogs. Licensee is purchasing the right to display the photo for 1 website or blog. The licensee will pay a one time fee to use this image on that 1 website or blog. Licensee must purchase additional licenses for each website that it wishes to post the photo. All photos will be paid prior to the receipt of the image either via Credit Card or Paypal. Print – TV – Corporate. All print, TV, and corporate accounts will be charged either by the standard prices defined on the NipponNews.net pricing calculator or as defined by the agreed upon rate card that has been established by the licensor and licensee. Accounts will be charged via Paypal or credit card, or if approved will be billed and given Net Terms as determined by both parties. Trademarks. 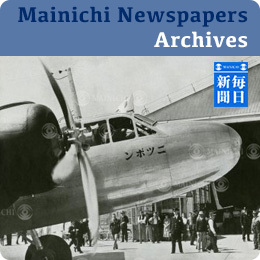 In connection with the use of NipponNews.net trade name, trademark, logos or service marks (“Marks”), Licensee acknowledges and agrees that (i) NipponNews.net Marks are and shall remain the sole property of NipponNews.net and Aflo Co., Ltd., (ii) nothing in this Agreement shall confer upon Licensee any right of ownership in NipponNews.net Marks and (iii) Licensee shall not now or in the future contest the validity of NipponNews.net Marks. Licensee will immediately notify Licensor if it becomes aware or suspects that any third party is wrongfully using any of Images in whole or in part, or is violating any of Licensor’s intellectual property rights, including, but not limited to, trademarks and copyrights. For repeat Licensees and only where agreed in advance, Invoices issued hereunder shall be payable within Thirty (30) days. All other accounts will be billed immediately via credit card or Paypal. Licensor gives no rights and makes no warranties with regard to the use of names, trademarks, logos, registered, unregistered or copyrighted designs or works of art depicted in any Image. Unless otherwise agreed in writing, no model, property, team logo, trademark or other releases are delivered by Licensor in connection with the delivery of Images hereunder. As to any release delivered with an Image, Licensor makes no representation, warranty or guarantee as to its sufficiency with regard to any use of the Image made by Licensee. Licensee bears the responsibility of obtaining all necessary model, property, team logo, trademark and other releases, approvals and clearances from third parties prior to using the Images. Licensee shall defend, indemnify and hold Licensor and its parent, subsidiaries, and commonly owned or controlled affiliates and their respective officers, directors and employees harmless from all damages, liabilities, and expenses (including reasonable attorneys’ fees and permitted and authorized costs), arising out of or as a result of claims by third parties relating to Licensee’s use of any Image or any breach of this Agreement. Licensor represents and warrants that it (a) has the full right and authority to enter into and perform this Agreement, including, but not limited to, the right and authority to license the use of any Images, including the rights to license the copyrights in and to the Images on the terms and conditions set forth in this Agreement, and (b) that the license granted hereunder does not infringe on any copyrights or moral rights of any person or entity. OTHER THAN AS EXPRESSLY SET FORTH HEREIN, LICENSOR MAKES NO REPRESENTATION OR WARRANTY OF ANY KIND, EXPRESS OR IMPLIED, INCLUDING BUT NOT LIMITED TO THE IMPLIED WARRANTIES OF MERCHANTABILITY OR FITNESS FOR A PARTICULAR PURPOSE, REGARDING (I) THE IMAGES, (II) CAPTION INFORMATION ACCOMPANYING IMAGES, (III) THIRD PARTY DIGITAL DELIVERY SYSTEMS, (IV) THE AVAILABILITY OR OPERATION OF THE DIGITAL ARCHIVE WHETHER ACCESSED VIA THE INTERNET OR OTHERWISE, OR (V) THE AVAILABILTY OR OPERATION OF EQUIPMENT, SOFTWARE OR SERVICE PROVIDED BY THIRD PARTIES. LICENSOR SHALL NOT BE LIABLE TO LICENSEE OR ANY OTHER PERSON OR ENTITY FOR ANY GENERAL, PUNITIVE, SPECIAL, sDIRECT, INDIRECT, CONSEQUENTIAL, INCIDENTAL, LOST PROFITS OR OTHER DAMAGES ARISING OUT OF THIS AGREEMENT, EVEN IF LICENSEE HAS BEEN ADVISED OF THE POSSIBILITY OF SUCH DAMAGES. SOME JURISDICTIONS DO NOT PERMIT THE EXCLUSION OR LIMITATION OF IMPLIED WARRANTIES OR LIABILITY FOR CERTAIN CATEGORIES OF DAMAGES. Licensor expressly reserves all rights not specifically granted in this Agreement. Relationship of Parties: Neither the making of this Agreement nor the performance of its provisions shall be construed to constitute either party an agent, employee or legal representative of the other party. Nor shall this Agreement be deemed to establish a joint venture or partnership. Assignment: Except as provided herein, Licensee shall have no right to assign this Agreement, in whole or part, or any of the rights granted hereunder. Binding Effect: This Agreement will be binding upon and inure to the benefit of the parties and their respective parent, successors and permitted assigns. Waiver: No action of Licensor other than an express written waiver may be construed as a waiver of any provision of this Agreement. Enforceability: If one or more of the provisions contained in the Agreement is found to be invalid, illegal or unenforceable in any respect, the validity, legality and enforceability of the remaining provisions shall not be affected. Law Governing: This Agreement, its validity and effect, shall be interpreted under and governed by the laws of Japan, without reference to its laws relating to conflicts of law. By checking the box on our registration page the licensee has attached their electronic digital signature to and agrees to this license agreement the NipponNews.net Web site and services. This is a legally binding agreement between the Licensor and Licensee.